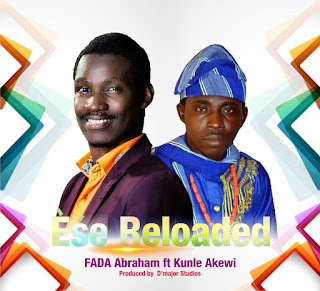 GreatFADA Abraham (popularly referred to as 'FADA Abraham') is a Dynamic Worship Leader, a Music Director, a Song-Writer, a Skilled Musician, a Music Producer, a Gospel Recording Artist and a Certified Theology Minister from the Prestigious Redeemed Christian Bible College—RCCG, School Of Ministry. He is a Computer Science Graduate of the Lagos State University (LASU) and as also bagged some notable Musical Certificates as well, both Foreign Music Certificate & Locals. He is the Founder of the justGOSPEL Initiative, a Forum & Gathering where Worshippers & Gospel Leaders are Trained to be Traced in the Kingdom Race. His Annual Gospel Concert has tremendously touched Thousands of Souls. He Has Shared the Stage with Numerous Gospel Ministers/Artistes and Has Ministered On Several Platforms, Concerts, Crusades, Churches & Gospel Events. His Ministry has Impacted Many and His Ministrations as been a Blessing to Several Worshippers across the Globe to the Great Glory Of God.